Amy is a Research Fellow in the Parenting and Family Support Centre, and recipient of the Children's Hospital Foundation Early Career Fellowship (2018-2020). Amy completed her PhD (Health) in 2011, for which she received the Executive Dean's Commendation for Higher Degree Research. 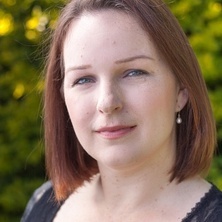 Amy's research interests lie in the area of paediatric chronic disease management, parenting of children with chronic health conditions (in particular eczema, asthma, allergic conditions, type 1 diabetes), and the impact of the transition to parenthood and early parenting experiences on infant and child health and wellbeing. Grad Cert in Paediatric, Child & Youth Health Nurs, Qld.U.T. Mitchell, Amy E. and Fraser, Jennifer A. (2014) Management of atopic dermatitis in children: evaluation of parents' self-efficacy, outcome expectations, and self-reported task performance using the Child Eczema Management Questionnaire. Neonatal, Paediatric and Child Health Nursing, 17 2: 16-22. Walsh, Anne and Mitchell, Amy E. (2013) A pilot study exploring Australian general practice nurses’ roles, responsibilities and professional development needs in well and sick child care. Neonatal Paediatric and Child Health Nursing, 16 2: 21-26.